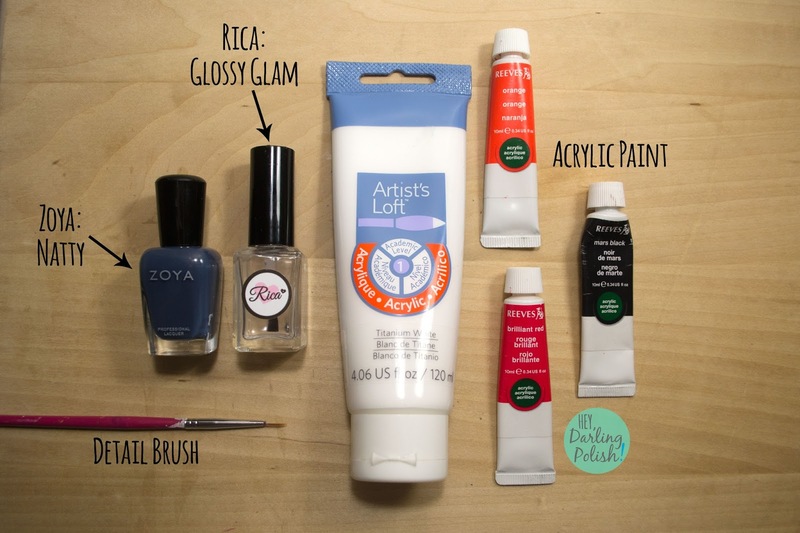 Guest Post from Hey, Darling Polish! 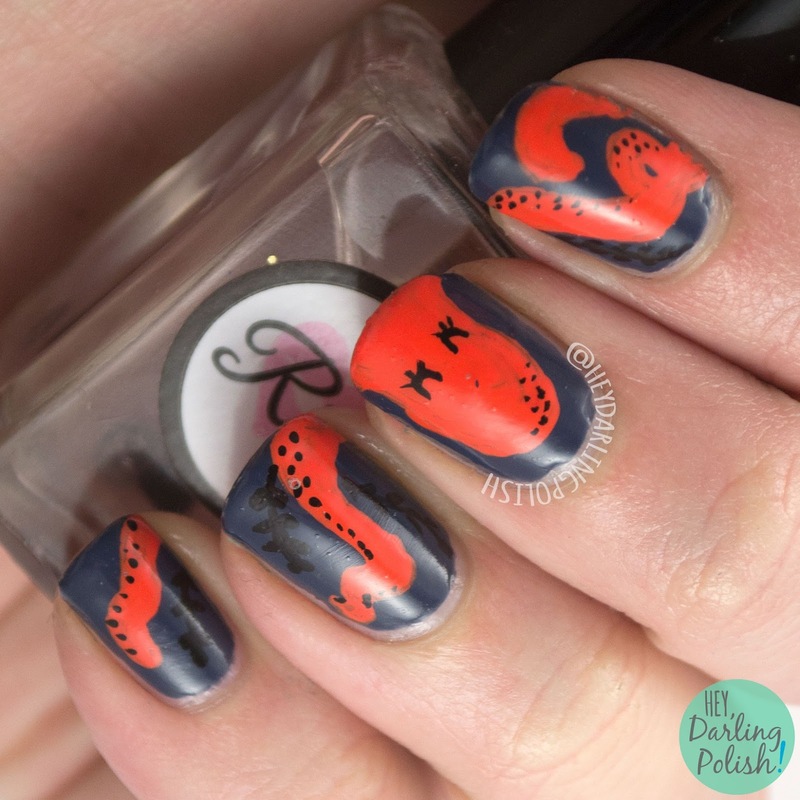 My name is Marisa and I blog over at Hey, Darling Polish! My blog is made up of mostly bright and quirky nail art with some indie polish swatches thrown in the mix. I saw that Katherine was looking for some guest posters while she deals with real life now and I love being to help people out, so here I am writing a post for you guys! Let's get to the nails! These nails started with two coats of Natty and a layer of Glossy Glam. When that had dried, I used my orange acrylic paint and detail brush to paint on the octopus. I then went back in with my black paint to add the smaller details. Everything was cleaned up and sealed in with another layer of Glossy Glam. 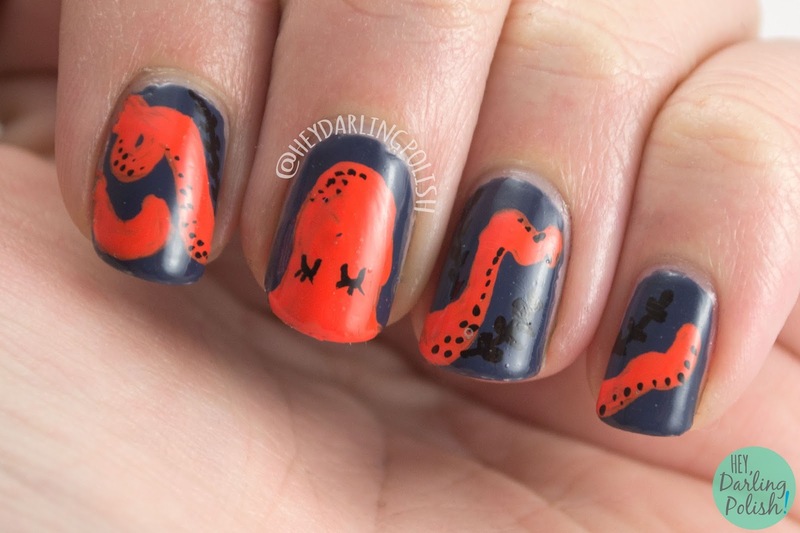 I thought these nails were so fun and a lot of my classmates liked my little "octopus friends" haha. Thank you Katherine for finally motivating me to try painting this pattern and allowing me to guest post for you! From Katherine: I love these so much and the sentiment behind them was so sweet! Marisa always inspires me to think of gorgeous freehand patterns since she does them so well, even if I don't do them as often as I would like to. Thank you so much, Marisa! This post means a lot to me. :) If you're looking for inspiration and lovely nails make sure to check out Hey, Darling Polish! on facebook, instagram and twitter! They remind me of dinosaurs. So creative & adorable!!! Love this! Wow! Your octopus is adorable. Great guest post! Marisa - that octopus is so great! I love the dotted details. This is such a cute little octopus! I love him! Aw, what a cute octopus! Beautiful, I always love all of Marisa's nail art. 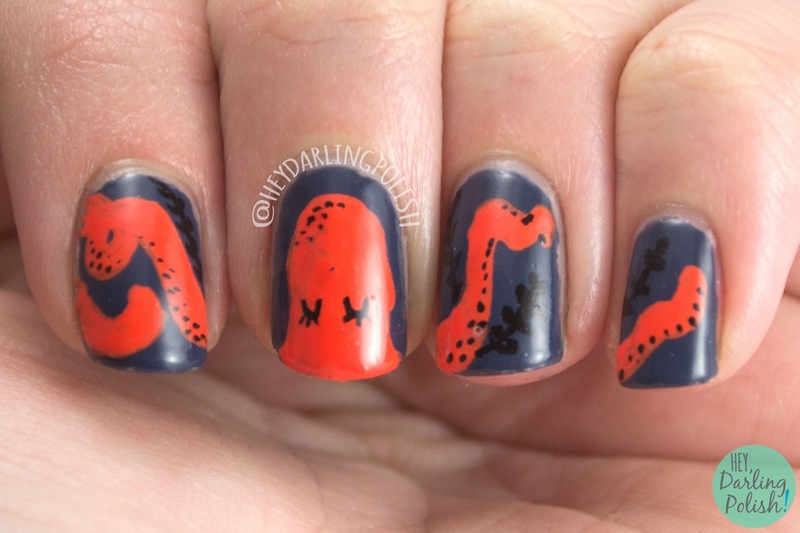 Guest Post from Nail Envy! Guest Post from Manicured and Marvelous! 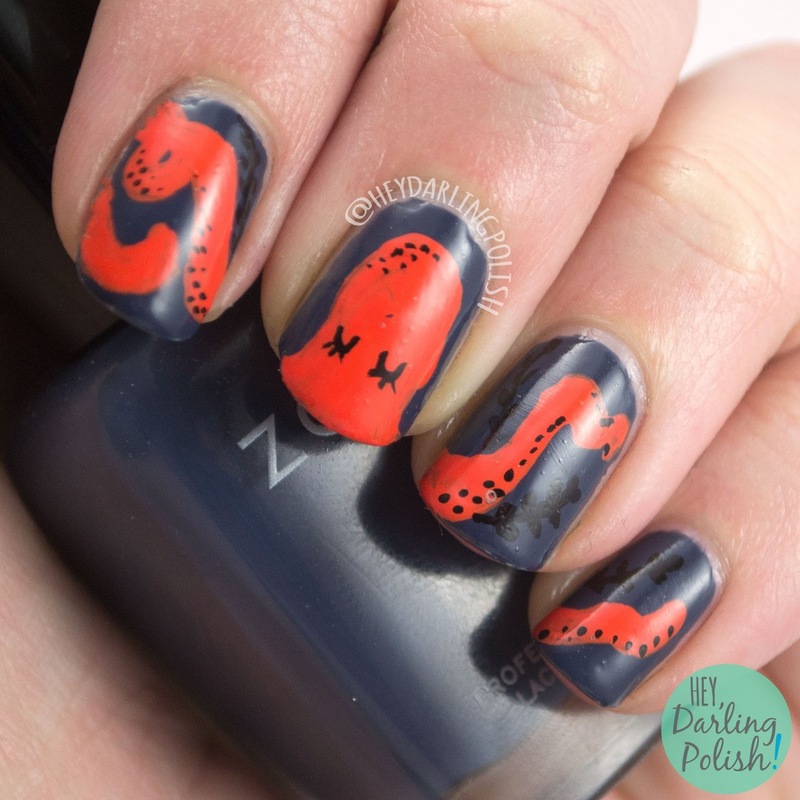 Guest Post from Manna's Manis!